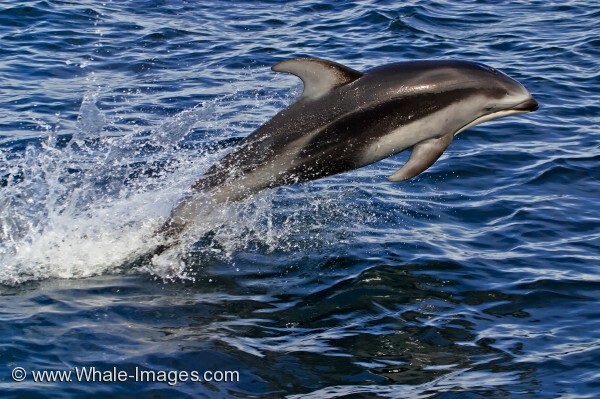 Sea Creatures - Pacific white sided Dolphin jumping, British Columbia. With their streamlined bodies, and smooth hairless skin these sea creatures can manoeuvre themselves quickly through their marine environment. Dolphins can attain speeds of between 15 mph to 25 mph. As seen with this picture, these sea creatures are also well known for leaping out of the water while travelling, this is known as "running".